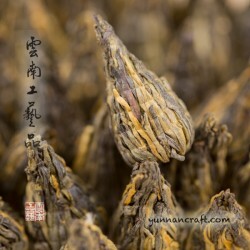 Skinny gold tipped spring leaves. 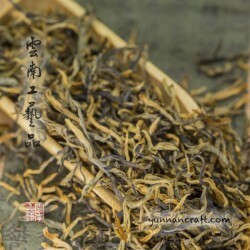 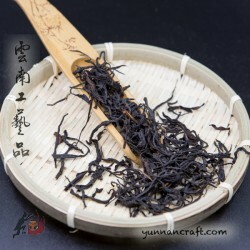 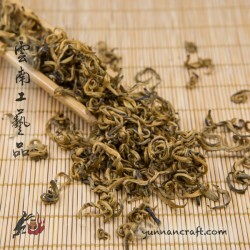 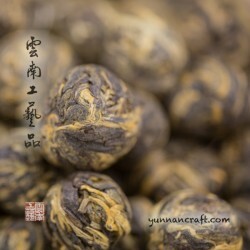 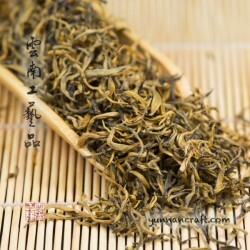 The golden color emerges during processing and after accurate withering and can only be made from certain varieties of tea which happens to be in Yunnan. 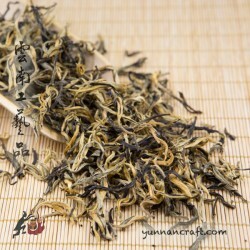 Light golden and crystal clear tea soup is very smooth with touch of honey aroma .